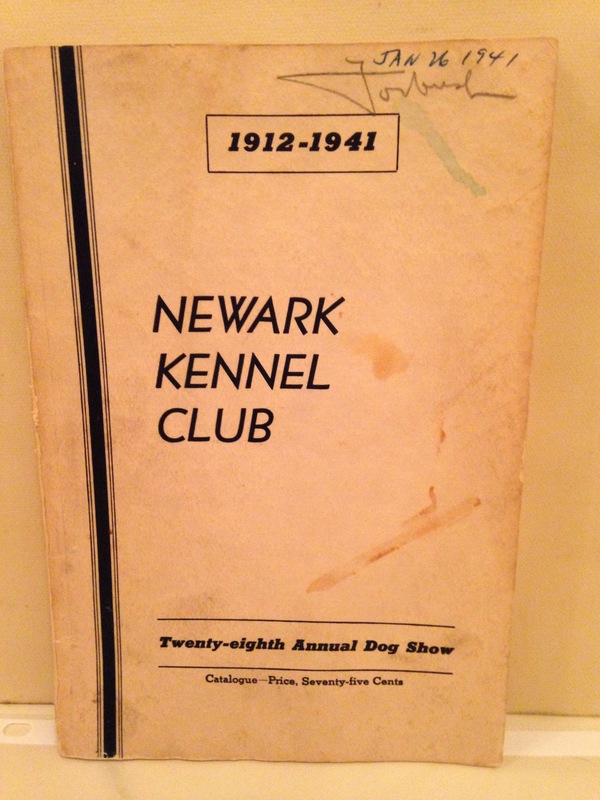 The Newark Kennel Club sponsored a dog show at the Newark Armory in 1941, as it had every year since 1913.This event attracted the same caliber of dog that one would see at the Westminster Dog Show. 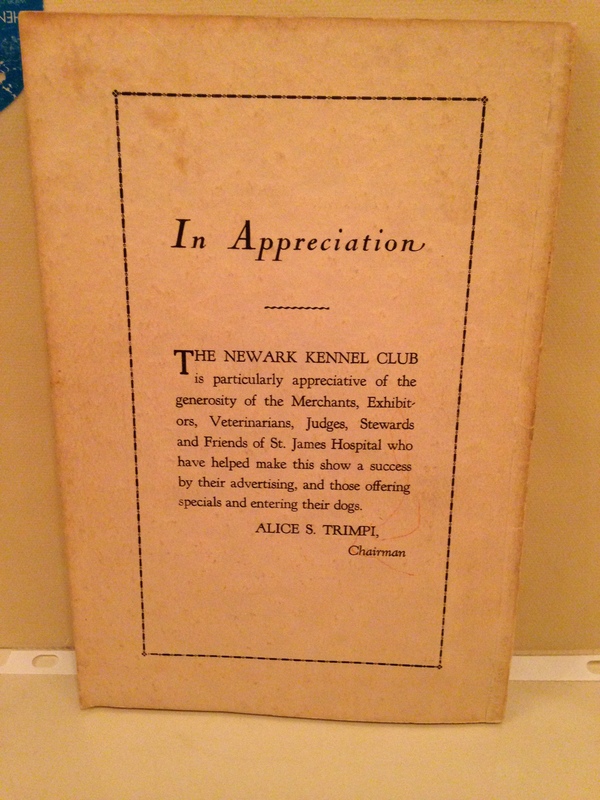 The Newark Kennel Club sponsored a world class event. 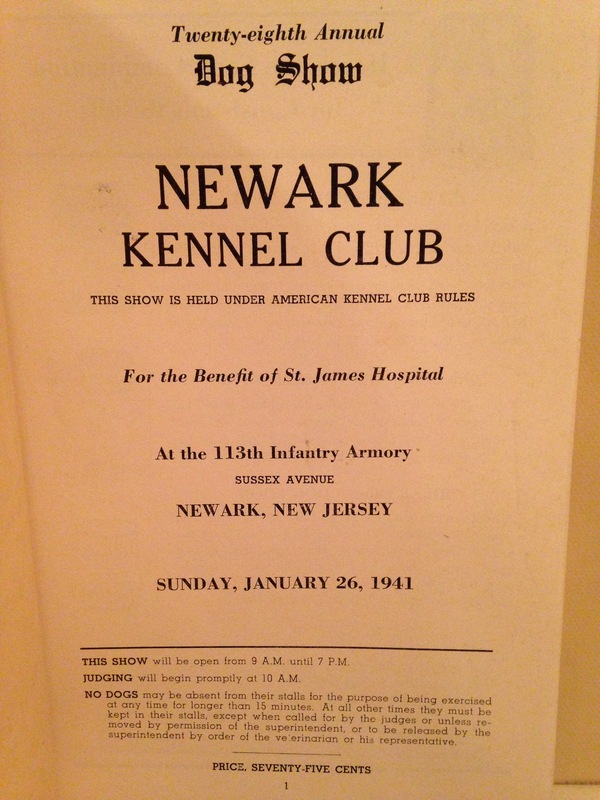 The dog show was a fundraiser for Saint James Hospital in the Ironbound. 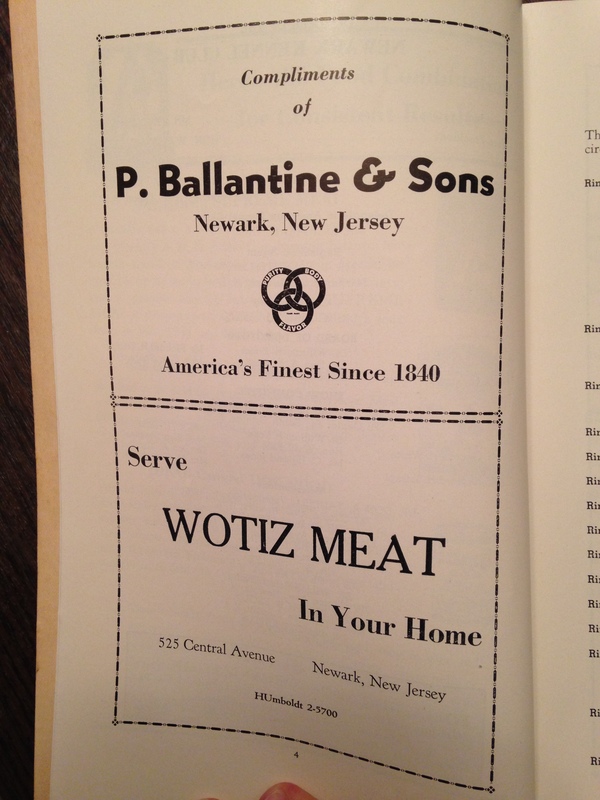 I have included photos of some of the advertising. 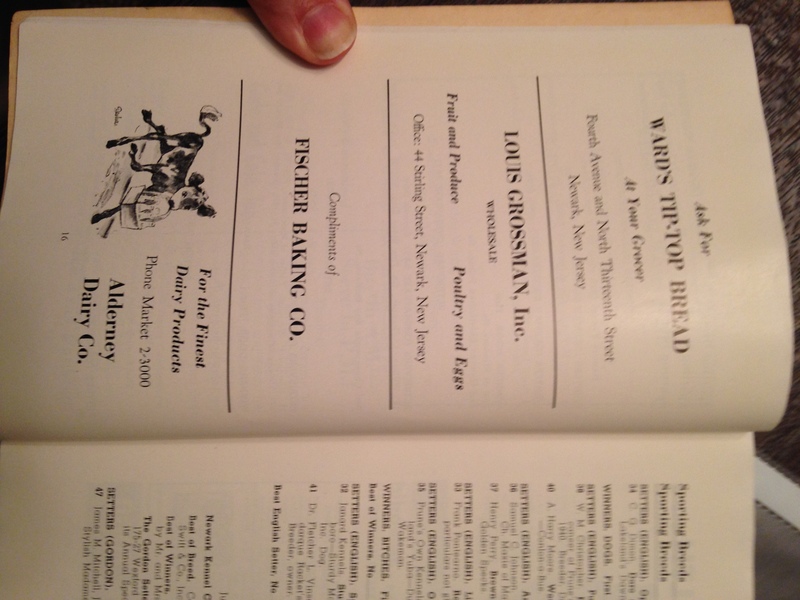 I apologize in advance for the pictures of my finger tips as it was impossible to keep the pages flat without holding them. I will endeavor to improve my photography.